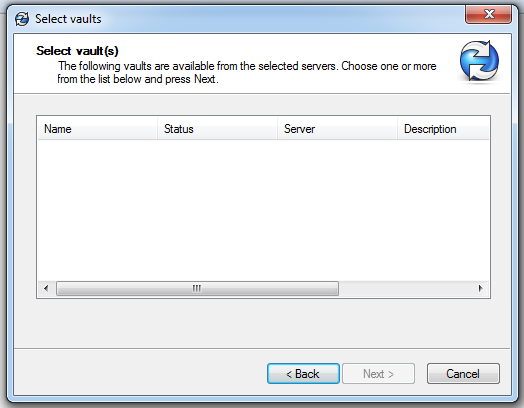 SOLIDWORKS PDM - Where Did My Vault Go? Where Did My Vault Go?! Some of us might have seen this screen before and been a little confused. We should be seeing our vault… so why aren’t we? It is a simple reason and a simple fix, but it helps to know what is actually wrong. 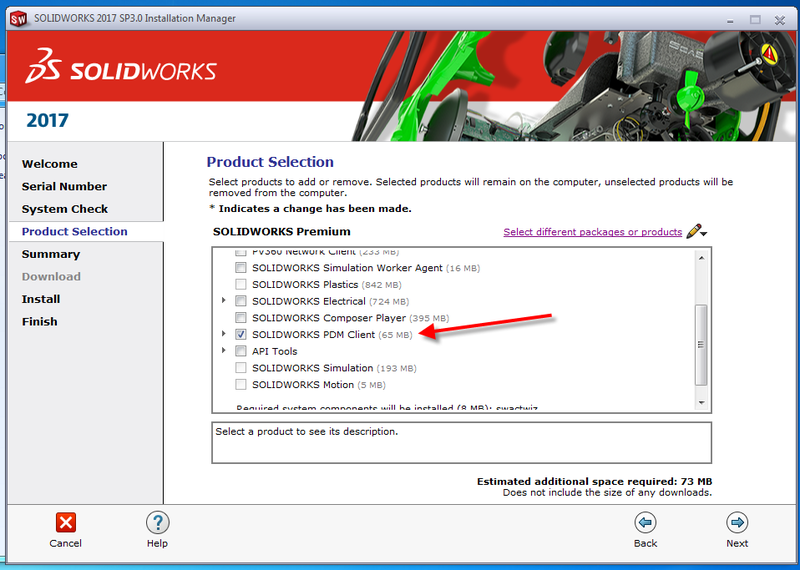 A lot has changed in recent years regarding how we install the SOLIDWORKS PDM client. Not only have we had the installer moved on us, but we’ve also had the installer radically changed with the introduction of PDM standard. This has left us with additional options that if we don’t set correctly, result in us being unable to see the vault from our client. We now have both a standard and a professional client version to match each of our license types. This is different from our variations of Editor, Contributor and Viewer. License types in that regard can be changed at will through the Administration tool by going to Help > About SOLIDWORKS PDM. The only way that we can change our client version from Standard to Professional, is through an uninstall. This guide can be followed the first time through to avoid this as an uninstall/re-install process. The prime difference between these two PDM client types is not in directly what they can do, but which vaults they can see. If you are a PDM Standard user and install the PDM Standard Client, you will only be able to see PDM Standard Vaults. If you have PDM Professional and have the Professional client installed, you will be able to see both Professional and Standard vaults. This is strictly a visibility issue in regards to the vaults. If we do not have licenses for a PDM Standard or PDM Professional vault, it does not matter what kind of vault we look at. Access is still dictated by license availability. 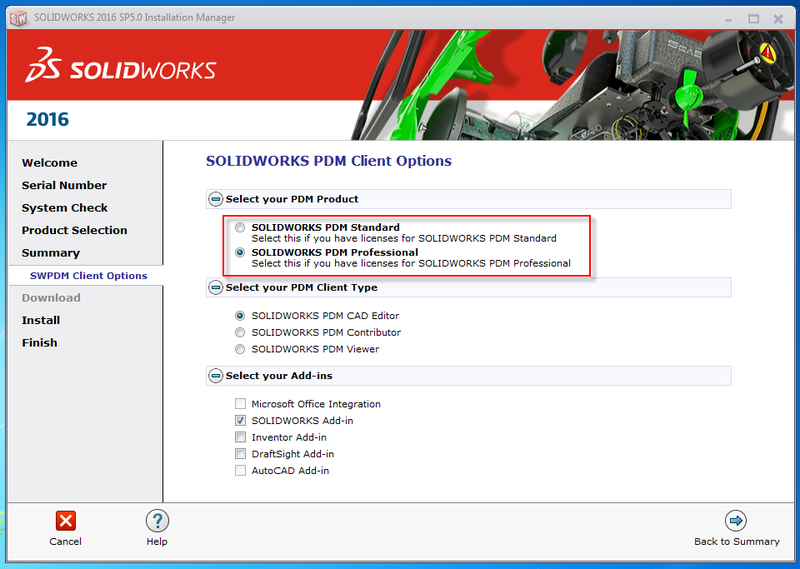 To install the PDM Client (formerly Enterprise PDM client) through the installation manager we need to select the option for “SOLIDWORKS PDM Client”. 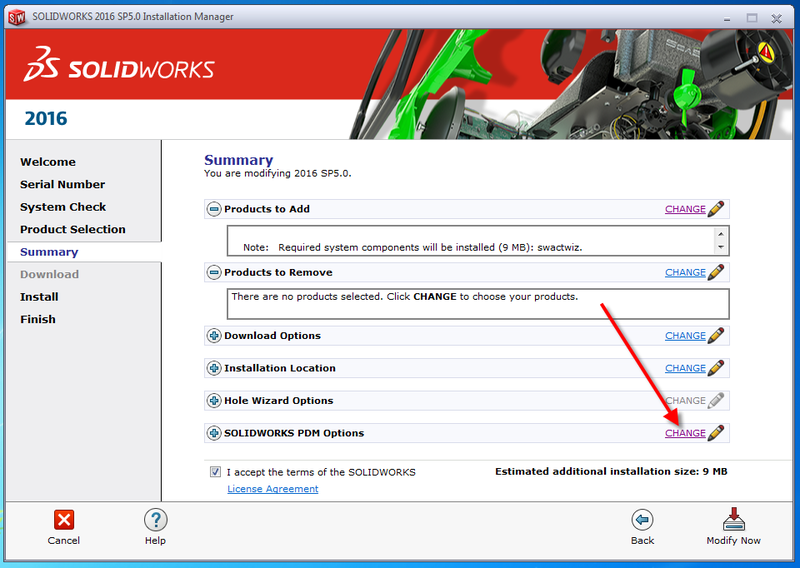 This is different from the SOLIDWORKS Explorer/Workgroup PDM option. That is for PDM Workgroup and can cause issues if both add-ins are activated. It is also not necessary to select the sub-node for “Item Explorer” unless Items are in use. It is not a necessary component to PDM Professional or Standard. When we install the PDM client on a fresh machine, the default is to select PDM Standard as our installation. If the system is upgrading a previous installation of PDM Professional, it will default its selection to this. In either case, we can change this on the Summary screen of the installation manager. To do this, we need to click the CHANGE link. We then get the SOLIDWORKS PDM Client Options where we can pick our Client Type as well as Standard or Professional. Click “Back to Summary” and proceed with the rest of the installation as normal. If this was done the first time through the installation should be working and vault view creation will be as expected. It is always better to do it right the first time, but in the end this isn’t such a big deal to correct. It is certainly much better to know that the client is wrong instead of the vault actually missing. DASI Solutions is dedicated to service and support. As one of a handful of original, charter value-added resellers (VAR) in the SolidWorks Community, DASI Solutions has built partnerships and success stories with many of our customers. We are very pleased to bring you SolidWorks 3D CAD design engineering software and 3D printing services.